Speaking from the Rose Garden on Friday, President Trump invoked the National Emergency Act after Congress refused to provide full funding for additions to the U.S.-Mexico border wall. By declaring a national emergency, the president could potentially bypass Congress and pull from Department of Defense military construction funds to build new wall. As the president predicted in his Friday speech, it took less than 24 hours for the first lawsuit against the national emergency declaration to be filed. The first lawsuit came just hours later from the organization Public Citizen on behalf of three landowners and an environmental nonprofit. The landowners argue that the Trump administration will use new money obtained through the emergency declaration to build a wall through their property. The Public Citizen lawsuit argues Trump’s actions did not have any legal basis and violate the basic separation of powers required by the Constitution. They also argue that Trump’s decision violates the Appropriations Clause of the Constitution, which bars the government from spending money that was not appropriated by Congress. 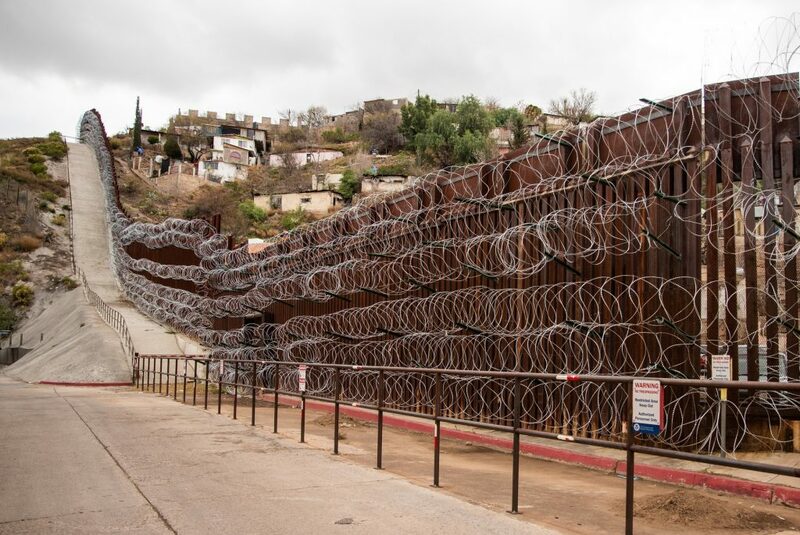 Because Congress specifically limited wall construction in the budget deal, the organizations argue that Trump is unlawfully disregarding Congress’ intent by building the wall with other resources. The biggest challenge yet came on Monday, when a coalition of sixteen states—including California, New Mexico, and New York—brought a lawsuit in the Federal District Court in the Northern District of California. The sixteen states also claim that Trump violated the separation of powers and the Appropriations Clause. Like other lawsuits, the states argue that Trump’s decision was entirely political and that there is no actual national emergency. The states also argue they will be deprived of law enforcement funds if the Trump administration goes through with a related plan to use Department of Justice civil forfeiture funds to build the wall. Those funds are normally available for state law enforcement purposes. The states also argue they will be harmed if the Department of Defense is prevented from continuing authorized military construction projects in their states. In the same lawsuit, California and New Mexico—both sites of proposed new border wall under the Trump plan—brought an additional cause of action. They argue that the decision to move forward with wall construction violates the National Environmental Policy Act because the government should be required to prepare an environmental impact statement before building new border barriers. On Saturday, the Center for Biological Diversity, Defenders of Wildlife, and the Animal Legal Defense Fund filed their own lawsuit in Washington DC. The environmental organizations argue that the wall will harm the environment in multiple ways, including by cutting off vital migration corridors for ocelots, jaguars, Mexican gray wolves, and other threatened species which live on both sides of the border. More lawsuits are expected, including one from the ACLU. Although the president himself predicted he would lose some of these lawsuits, others were less sure. No national emergency declaration has ever been challenged before and courts may be highly deferential to a president’s decisions on purported national security concerns.